Every year, pharmaceutical companies lose an eye-watering $637bn through medication non-adherence – so why isn’t the industry taking this money-eating bull by the horns? Tom Kottler, CEO and co-founder of US patient experience and adherence software company HealthPrize Technologies, believes entrenched business models are holding companies back. He spoke to pharmaphorum about how a shift in focus could keep healthcare costs in check, improve patient outcomes and drive profits. Twenty-one of the world’s largest pharmaceutical companies could increase revenue and earnings per share (EPS) simply by modestly boosting adherence rates. Sanofi, for example, could increase revenue by up to 12% and EPS by up to 20% between 2020 and 2026. Novo Nordisk could experience up to 29% greater revenue and 45% higher EPS in the same period. The figures come from a report by HealthPrize and CEEK Enterprises that looked at the potential profit-driving power of adherence for 14 companies: Amgen, Astellas, AstraZeneca, Bayer, Biogen, Celgene, Gilead, GSK, Novartis, Novo Nordisk, Roche, Sanofi, Shire and Takeda. The report – The Pharmaceutical Triple Aim: Higher Medication Adherence Increases Revenue and EPS for Pharma, Improves Patient Outcomes and Lowers Healthcare Costs – was published in January, but the issue is far from new, and this latest analysis builds on a Credit Suisse investors’ note from March 2018. It concluded that seven of the large-cap pharma companies – AbbVie, Allergan, Bristol Myers Squibb, Johnson & Johnson, Lily, Merck and Pfizer – could “meaningfully increase” sales and earnings by as much as 20% by increasing adherence. Despite such predictions, the industry continues to rely on “unsustainable” price increases to drive growth, says Kottler. “The same Credit Suisse analysts we referred to in the report published an investor’s note in 2017 showing that 100% of pharma’s EPS growth in 2016 was due to price increases. “More recently, Leerink analyst Geoffrey Porges reported that revenue growth from 2017-2018 hit just one percent, but without price hikes, would have declined by 6%,” he says. Asked why it was taking so long for companies to get a handle on the adherence question, Kottler says the industry was “clinging to a business model that has consistently worked for the last 50 years”. The report argues that improving adherence is the only revenue-increasing stream that isn’t under threat. Bringing a new product to market or securing a new indication for an existing drug is expensive. Convincing doctors to write more prescriptions is no longer viable in a post-blockbuster drug age, and the current model of consistently raising prices is unsustainable. “Pharmaceutical companies will face a continuing backlash from the public, payers, and the government if they don’t find sustainable and consistent models for business growth that contribute to decreased overall cost of care and improved patient outcomes,” says the report. 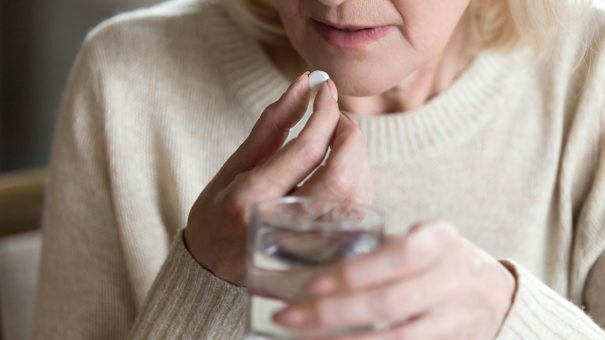 But with up to 30% of prescriptions never being filled, tackling non-adherence is feasible, attractive and comes with the added bonus of improving outcomes: something the industry is increasingly being asked to consider. “For the first time, big pharma is being required to consider their value, not just in terms of selling medication, but in being responsible for outcomes, and this new world is one that is being forced on them,” says Kottler. Such is the gravity of the puzzle that the solution requires a shift from the traditional product-by-product approach, Kottler argues. He recommends companies create the role of a “chief adherence officer” who would report directly to the CEO and be connected to the board. “The chief adherence officer would be empowered with a material budget and C-suite backing to recoup that company’s lost revenue resulting from medication non-adherence. “They would have ownership of enterprise-level adherence initiatives and be responsible for connecting these initiatives to revenue and outcome metrics,” says Kottler. Companies also need to gain a “greater understanding of human psychology” to truly understand and tackle non-adherence at its roots. Boosting profits while driving down healthcare costs and improving outcomes is in everyone’s interest – but to rise up to the challenge, the industry needs to undergo a revolution in outlook. “Inertia and structural impediments to change are the biggest challenges — getting the C-suite, their boards and investors to buy-in to the importance of adherence from a revenue, EPS, and outcomes perspective requires a wholesale change in thinking,” says Kottler.